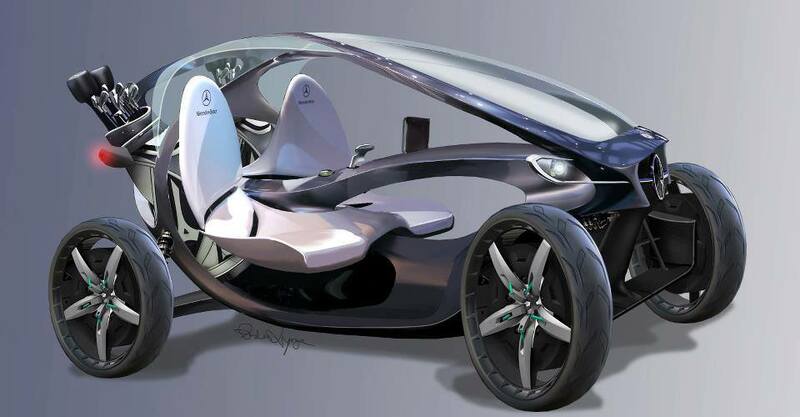 Earlier in the year, Mercedes-Benz asked golf and car fans to send in their designs for the golf cart of the future. 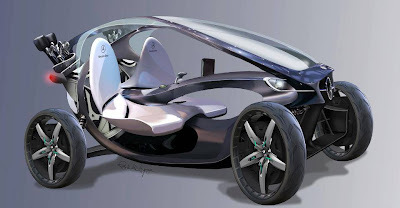 It gained much attention from fans of both golf and cars that winner, with the new and brilliant idea, would get tickets to the 2013 Open at Muirfield. 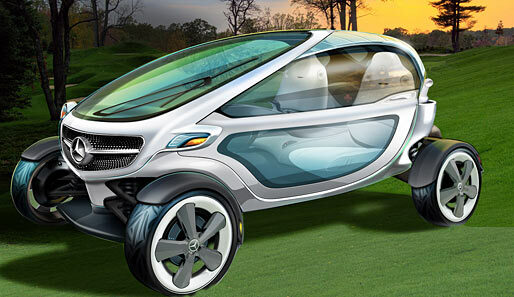 The cart combines Mercedes-Benz aspects of their cars and that of a golf cart. The diamond grille was added to the cart for a modern-day face from Mercedes-Benz. The features include: electric driven, touch screens, docking station for an iPad or iPhone, communication capability with other golf carts at the course, a course map, weather information and Bluetooth navigation. It has ample storage space for two golf bags, and it also has mini refrigerator.